The names you see below have contributed to 0s&1s, and have been integral in its continued growth and success. 0s&1s has bloomed only because of organizations and people who have seen our potential, helped envision our future, and lent a helping hand. We can't wait to see what's to come, and we can't thank our sponsors enough. If you're interested in sponsoring 0s&1s, get in touch: editor [at] 0s-1s [dot] com. 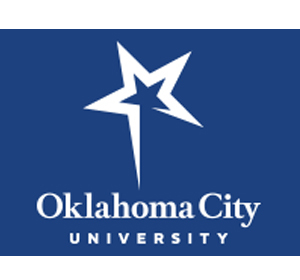 The Red Earth Low-Residency Master of Fine Arts degree in Creative Writing at Oklahoma City University offers you the opportunity to escape your busy life to pursue your writing passions. Housed at a private university in an urban yet quiet setting, the program connects you with experienced creative and professional writers who will nurture your creative talent in workshops, peer groups, and individual instruction. The Red Earth MFA program gives you a chance to concentrate on your writing while working with like-minded communicators who, like you, wish to grow creatively and professionally in a collaborative environment. We are one of the oldest writing programs, begun in 1948 by Andrew Lytle, who later edited the Sewanee Review. John Ciardi, Harry Crews, James Dickey, Donald Justice, Maxine Kumin, Stephen Spender, and Peter Taylor have taught here. You may see our various rankings at Poets & Writers in their annual MFA Index. We require an equal interest in writing and in reading literature. We don’t believe in any particular school of writing; we have no wish to foster or found one. Criticism in the writing workshop here attempts to fulfill the design of a poem or a story on its own terms. Our aim is to cultivate good writers. When we are successful, you leave here capable of writing a better poem or story or novel than you might have written had you not come here. If we effect this bettering, we do so by admitting that the question Can writing be taught? is best answered Yes and No. Certain aspects of it can be taught, others cannot. Squarespace's mission is to provide creative tools that help anyone give a voice to their ideas. From the designers and engineers who are creating the next generation of web and mobile experiences, to anyone putting a website together for the first time, Squarespace provides elegant solutions that set new standards for online publishing. Squarespace also generously offers 0s&1s readers a 10% discount on subscriptions to their platform—simply use the offer code "0s1s" when you sign up. Riffle inspires people to read more books by connecting them with avid readers, authors and books they’ll love. Riffle has tools for creating and curating reviews, reading lists, book quotes, recommendations and author interviews. It’s a social media platform and word-of-mouth network that pushes book related content into Twitter, Tumblr and Facebook. Riffle is powered by influencers in the book world, including bloggers, booksellers, librarians, publishers, authors and book critics - people whose business it is to talk about books and who already prominently influence the 44 million avid readers in the U.S. The many honors and awards garnered by our writers include the MacArthur Foundation Grant, the National Book Award, the Pulitzer Prize, the Kingsley Tufts Award, the IMPAC Dublin Literary Award, the Flannery O’Connor Prize, the Katherine Anne Porter Prize, thePEN/emingway Award, and the Dylan Thomas Prize, among others. We are based at Suffolk University in Boston, and each year we participate in the Associated Writing Programs Book and Magazine Fair. Salamander is a member of the Council of Literary Magazines and Presses.